and anyone interested in polishing their training skills. 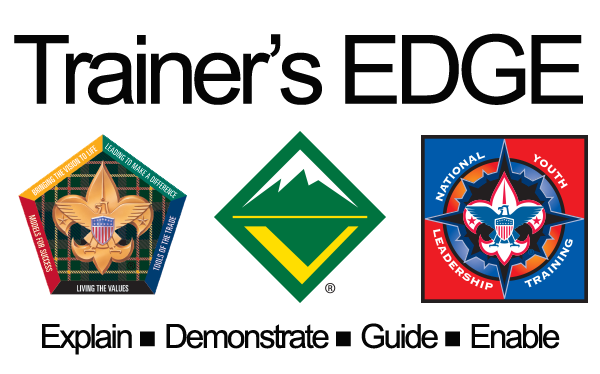 The purpose of the Trainer's EDGE course is to provide and help develop the platform skills of a trainer and is meant to supplement the practice that is offered through Wood Badge and NYLT staff development. You will have the opportunity to hone your skills and give several presentations during the day to put into practice the skills taught through Trainer's EDGE. The course is held each January at the Armstrong Service Center.